How many facts about silver do you know? These days, silver is predominantly mined in the New World, including the USA, Russia, Canada and Australia. However, it is actually Mexico which produces the most, with Peru not far behind. Approximately 35% of the silver mined today is a by-product of zinc, copper and lead mining. Mexico mined 5,600 tonnes in 2017 alone. Silver is more reflective than any other element which means it’s essential in things like telescopes, solar panels, batteries and mirrors. Although polished silver is capable of reflecting 95% of the visible light spectrum, it is actually poor at reflecting ultraviolet light. Silver was one of the first five metals to be discovered by our prehistoric ancestors. Infact, early humans were actually able to separate lead and silver all the way back to 3000 BC. Silver coins and artefacts have even been unearthed which date back before 4000 BC. Silver occurs organically in nuggets in the same way as gold does, which means there is no need for manufacturing or processing. Mostly found in jewellery making, sterling silver is the most common type of silver you’ll find on the high street. It consists of 92.5% silver, with the rest of it being made up of a mixture of compounds including copper. Silver is an outstanding electrical conductor and is the best of all the elements. Additionally, silver is also the best thermal conductor of any metal too. In fact, the horizontal lines you find in the back window of your car to defrost ice in the winter are made from silver for this reason. On a scale of 0 to 100, silver comes in at number 100 for electrical conductivity and is used as a benchmark by which all other conductors are measured. Just behind it, copper is at number 97 out of 100, and gold is at 76. However, it isn’t used in electrical wiring as it’s simply too expensive. jewellery have been said to possess magical powers in promoting fortune, wellness and healing. When worn, silver is also said to keep evil spirits away from the wearer. Whilst in the modern Western word these beliefs have all but disappeared, some people remain convinced of silver’s cosmic powers. In ancient China, it was traditional for babies to be presented with a silver necklace to be worn around the neck to keep the baby healthy and warn off any malevolent forces. This year is actually the Chinese year of the dog, so why not commemorate it with one of our Silver 1oz Lunar UK Year of the Dog 2018 silver coins? It’s a little-known fact that pure silver has excellent antibacterial qualities. Only a very tiny, concentrated amount of silver or silver salts is needed to kill bacteria, for example in an open wound. It works by chemically altering the membranes of the bacteria cells which then means they break down. Unlike conventional medicines and antibiotics, bacteria do not become resistant to silver, even over long periods of time. Thanks to this antimicrobial property, silver is also used in trace amounts in clothing and food storage containers like Tupperware boxes to help keep items fresh. During the Norman conquest, around 1066 AD, silver was used to create the metallic coins that we’re so familiar with today. In Great Britain, these silver coins formed the basic denominations of pounds, shillings, and pence. The pound is quite simply a pound of sterling silver. Silver is routinely used in the mass production of industrial and technological applications. It’s ideal as a conductor, RFID (radio frequency identification chips), in GPS and tracking, Nano and Smart technology and surgical equipment where its excellent conductivity and antimicrobial properties are essential. Up until very recently, it was used mainly in photography equipment and cameras, but due to digital photography, this is now on the decline. Over time, silver will start to tarnish as it reacts with the air and become less shiny. Black sulphide will form as a by-product of the reaction with sulphur compounds and this leads to a slight dullness in the colour. 11) It can survive serious heat! The melting point of silver is 961.8ºC whilst its boiling point is an incredible 2162ºC. The actual words “money” and “silver” are completely identical in at least fourteen different languages, including Welsh, Swahili, Thai and French. Over the centuries, gothic horror stories have brought about the idea that the way to kill off a wolf-man is with a silver bullet. Due to this, silver is supposed to be one of the only metals which is effective against werewolves, ghosts, vampires and other evil entities. Fun fact right here; the only word in the English language that will rhyme with the word “silver” is the word “chilver”. A chilver is actually the technical name for a female lamb. 15) Born with a silver spoon? It’s a common phrase that we still use today; people who are ‘born with a silver spoon in their mouth’ are wealthy, or at least were born into a wealthy family. However, traditionally it’s actually nothing to do with financial wealth but is infact to do with physical health, as children who ate from silver spoons tended to be stronger and healthier. 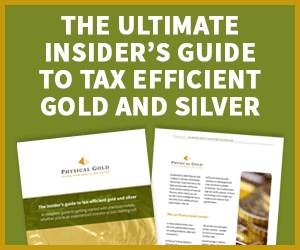 Here at Physical Gold our expert team are ready and waiting to assist with all of your silver investment needs. Drop us a line today on 020 7060 9992 or send us an email for individual advice on all aspects of buying and selling precious metal. This entry was posted in Blog and tagged silver.